Sweden is an egalitarian society that favors a sense of solidarity. Swedes are humble in nature, and rarely take hospitality and kindness for granted. Neither should you when visiting the country. Gifts are expected for social events, such as private dinner parties and Christmas get-togethers. Most Scandinavian countries are very enthusiastic over Christmas, and in Sweden, the celebrations begin on the Advent, on the first of December. So let's find the best Swedish gift ideas! By the way, anyone with Swedish heritage might also be interested in these gift ideas. The two most common and appreciated types of crystal are Orrefors and Kosta Boda Crystal. Both are made in Sweden. The designs include vases, bowls and candle holders. Pippi is a fictional Swedish character found in books. She is a nine-year-old girl with fiery red hair in braids that stick out from her head. Pippi lives free of adult supervision and is very unconventional and emotionally strong, so her attitude appeals to the younger readers. The first books came out in 1945, but are still widely read and are a classic today. It is a delightful Swedish gift idea for both adults and children and is even available on DVD, for non-readers. If there are children in the family, you may bring a small gift of candy, such as marzipan or toffees. Other great food delicacies include pickled herring, Vasterbotten cheese, Gothenborg sausage, Swedish potato sausages, caviar, honey, chocolate, Swedish Gummi fish, red beets, and vanilla sauce. Nuts, dates, and friends can also be given. Sometimes, oranges are decorated with cloves and hung from a window where the aroma can spread through the room. Liquor makes for great thank you gifts as well. All Scandinavian countries are rich with the history of the Viking era, between 800 and 1050 AD. Those interested in their Viking roots will adore a carved ship or similar memorabilia to display in their homes. Ships are also forged into jewelry to be worn as earrings or pendants. These are very popular local shoes, the sole is often made out of wood. They usually come in a variety of bright, vivid colors! The Swedish flag is blue and yellow. As with the custom in Norway, when flown next to the American flag, the Swedish flag will always be lower. 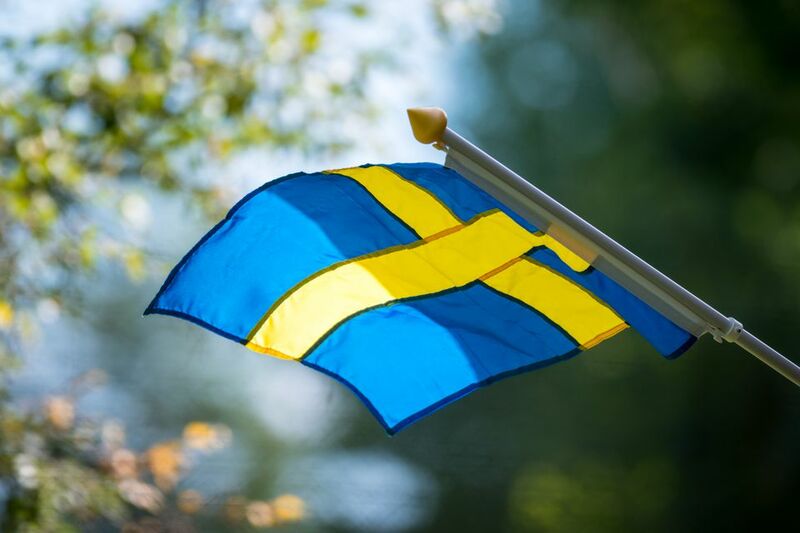 The flag of Sweden is used to decorate the outside of a house on someone’s birthday. Likewise, a Christmas tree is sometimes decorated with small Swedish flags. Beautiful handcrafted or blown glass ornaments will also decorate the tree. A traditional glass ornament with the Christmas greeting “God Jul” is warmly welcomed at this time of year. Trolls are very prominent throughout Scandinavian folklore. There are even Swedish towns named after the infamous trolls! Any carving of Swedish trolls or a book about them ​is considered favorite gift ideas in Sweden. Even while traditional gifts are always accepted and welcomed by the Swedes, when staying over with a family you might consider bringing a gift from your home country. Do not give white flowers, as they are associated with death and funerals. Red roses and orchids can easily be interpreted as a romantic gesture. The giving of business gifts is not usually done in Sweden between associates. Since liquor is extremely expensive in Sweden, a gift of liquor or wine can also be a good gift.